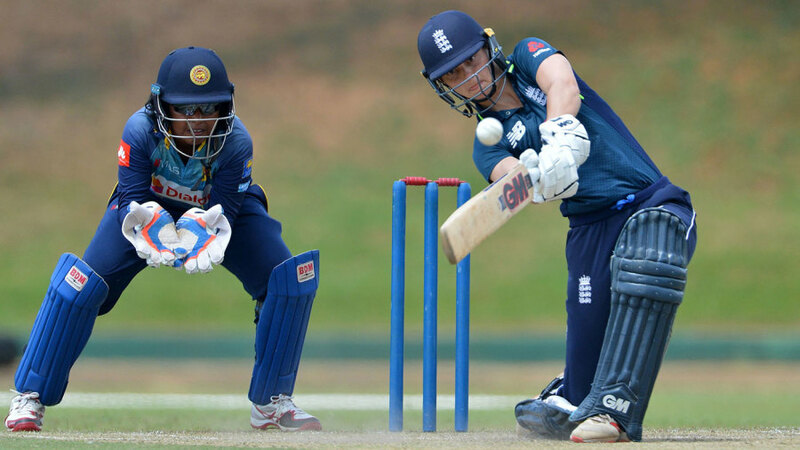 England women eased to another comfortable victory in the second ODI against Sri Lanka in Hambantota, chasing down a moderate target of 188 with six wickets and 16.3 overs to spare to secure an unassailable 2-0 series lead. After winning the toss for the second match running, Sri Lanka this time chose to bat first, perhaps mindful of the daunting score that England had put on the board in the first fixture after being asked to bat. And though each of the top eight reached double figures in a determined team performance, no-one managed to push on to any milestone of note, with Harshitha Madavi top-scoring with 42 from 46 balls. With Katherine Brunt sitting this match out with a back injury, England's seamers were thwarted in their initial burst, and instead it was the spin of Laura Marsh that made the first incisions, with both openers, Prasadani Weerakkody and Chamari Atapattu falling in quick succession after a stand of 41. Wickets continued to fall in pairs for Sri Lanka, as they were frequently pinned back after laying decent foundations. With the score on 71 for 2, Alex Hartley bowled Anushka Sanjeewani for 13 before Anya Shrubsole dealt with Shashikala Siriwardene two runs later, and the pattern was repeated at 145 for 4, with two more wickets for four runs ending the most threatening stand of the innings between Madavi and Hansima Karunaratne. Sri Lanka's innings fell away thereafter, as Hartley dealt with the tail to finish with figures of 3 for 36, and England's reply started with the sort of intent that soon made the result a foregone conclusion. Amy Jones, England's pace setter in the opening fixture, once again left her team-mate Tammy Beaumont in her wake as he blazed her way to 54 from 39 balls with seven fours and three sixes. She had scored more than 75% of England's runs when she fell to Oshadi Ranasinghe off the final ball of the Powerplay. Lauren Winfield picked up where Jones had left off with 44 from 41 balls, with Beaumont playing the relative anchor role for 43 from 60. 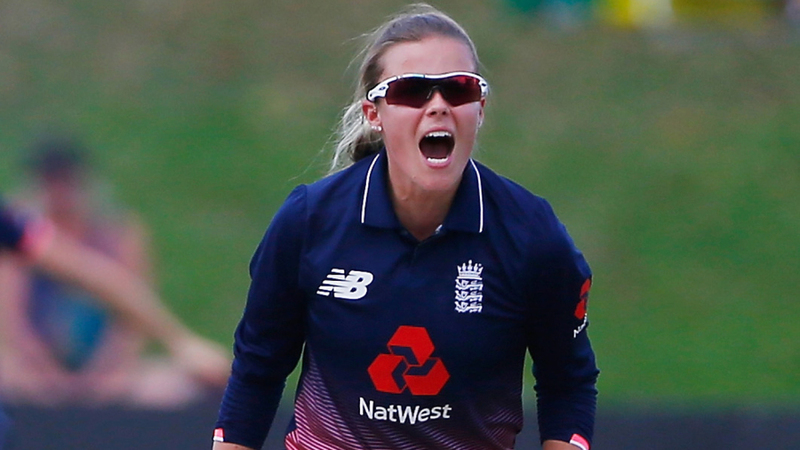 Nat Sciver, who made 6 from 14 balls, endured another off-day with the bat - her tour has been a bit all or nothing in that regard - but captain Heather Knight and Danielle Wyatt were on hand to steer the final phase of the run-chase with an unbeaten stand of 28.